How to avoid International Data Roaming Charges outside of Europe? Imagine having no internet while taking phone overseas for 30 days when travelling in India? None. Nil. Wouldn’t that just disrupt life for you? Obviously, it will unless you are a monk reading this. But you would say that we can have free data abroad from the internet on the phone because our service provider gives us mobile phone data that works abroad. When you pay for these internet charges at your home country, you incur charges that are fixed. But when you step outside of your state and especially of your country, these charges become nebulous and start eating your pocket. This is probably where you ask the question ‘What is Data Roaming’? Data Roaming is the usage of your data service when you step outside of the boundaries of your telecom operator’s network coverage area. It is charged both domestically and internationally. International data roaming charges or global roaming charges are incurred because your network operator has a tie up with other network operators that give you services on their behalf and hence the roaming tariff. How Does Data Roaming Work? Once you are outside your telecom operator’s network coverage area; any action that involves the usage of your phone data (when not using any WiFi) will incur charges. These charges are incurred as your telecom operator ties up with international telecom operators to facilitate your activity outside your home network operators’ area and hence that costs more. They are technically referred to as interconnect charges. So, whether it is sending that mail you started to write last night or trying to look for navigation, you will be charged for everything. Your phones have settings to turn data roaming service off but only android phones give you reminder/ warning to do that when you step outside the network. Therefore; it is either that you can’t have overseas data or you just pay heavily to have it. For Ireland; Meteor charges $12.25 extra per MB and $2.74 per min for outgoing and $2.62 per min for Incoming if one does not have an international plan purchased. 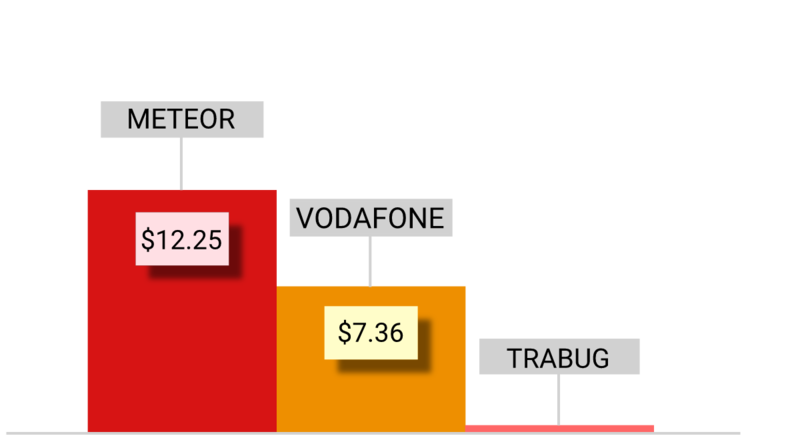 Similarly vodafone charges $7.36 per MB and $2.42 per min outgoing if you have not purchased an international plan. The available international plan by Vodafone provides unlimited calls & text with FUP + 200MB of data at $ 5.97. For France; Bouygues charges $1.22 per MB and $2.75 per min for Outgoing and $1.20 per min for Incoming if one does not have an international plan purchased. Similarly SFR roaming charges $1.20 per MB and $2.51 per min outgoing if you have not purchased an international plan. The available international plan by SFR provides 30 mins (In + Out) + 30SMS + 200MB Data at $29.92. The available international plan by Orange called the Orange international data plan also provides 120 min local + 1000 texts (only from europe) + 10 GB data (valid in Europe) Valid for 7 days at $47.86. If you don’t buy this, you get charged $4.37 per mb and per min for data and calls both. You also have the option to look for the orange international sim card and top up with orange international plan. 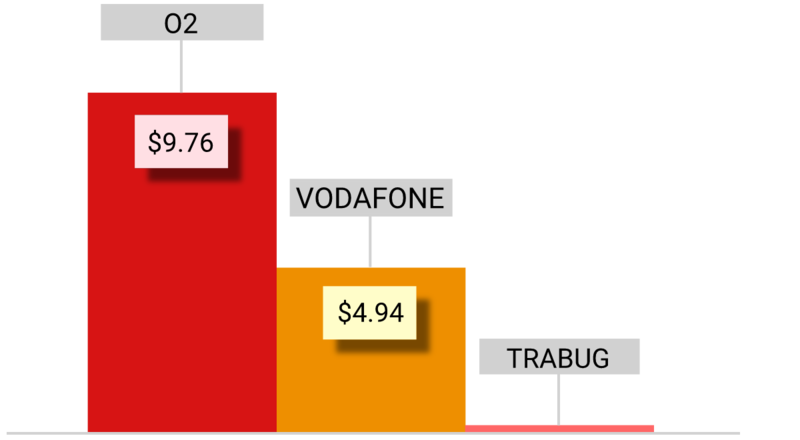 For Germany; Vodafone charges $4.94 per MB and $3.62 per min if one does not have an international plan purchased and O2 charge $9.76 and $2.71 for per MB data and Per min call respectively. For Italy; Wind charges $12.82 per MB and $2.50 per min for Incoming and $8.74 per min for Outcoming if one does not have an international plan purchased. 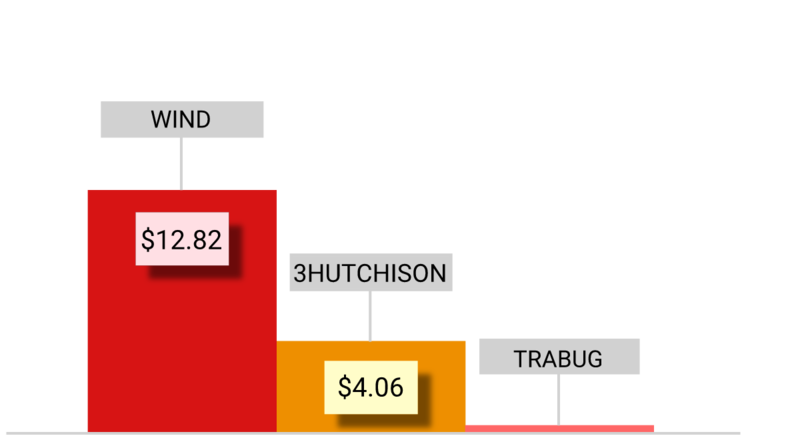 TIM offers and international roaming plan that provides 4GB data + 100 Minutes at $ 35.98.Similarly 3 (Hutchison Whampoa) charges $4.06 per MB and $2.71 per min if you have not purchased an international plan. For Netherlands; Simyo charges $5.98 per MB and $5.48 per min if one does not have an international plan purchased. Tele2 offers and international roaming plan that provides 100 MB data at $ 34.71. 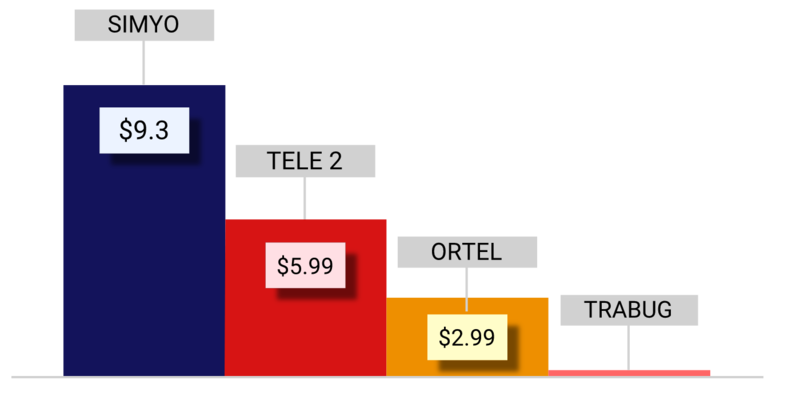 Similarly Ortel charges $2.99 per MB and $4.49 per min if you have not purchased an international plan. Hence, if you’ve come to notice. This isn’t something very affordable or convenient. I mean, especially when you can have a cheaper and more hassle free option. All these charges can be avoided while travelling to India because India has that more feasible option up for grabs! India has Trabug which offers you an opportunity to have a functional phone, with a pre-installed SIM Card and a 4G data connection. It gives you various pricing plans to choose from and makes your travelling experience smooth. Trabug is a great solution for foreigners, especially for people from Europe, USA & UK who are travelling to India and have high internet roaming charges because of using phone overseas while travelling. 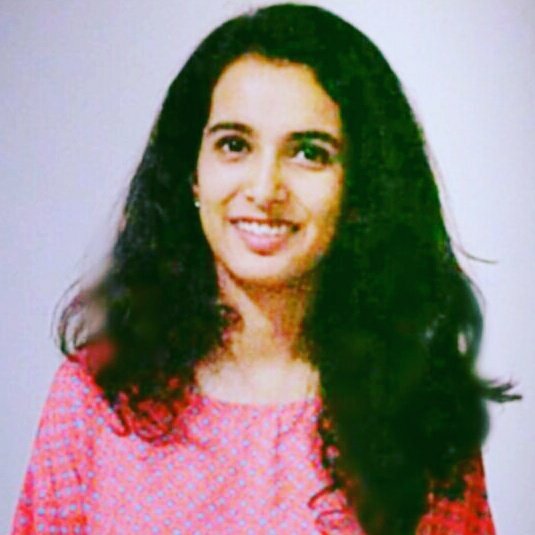 Trabug is for anyone who is in India for leisure or for work. While a lot of your mobile phones won’t work in India, you might want to rent a cell phone rather than buying a new one and save yourself some money. With Trabug you can rent a mobile phone in India with charges per day.Trabug is dropped and picked up from where you stay. It comes with a 4G sim and gives you high speed internet at literally 1/5th of the prices you would pay to your network providers back at home in the US. You can connect upto 5 devices by creating a hotspot. 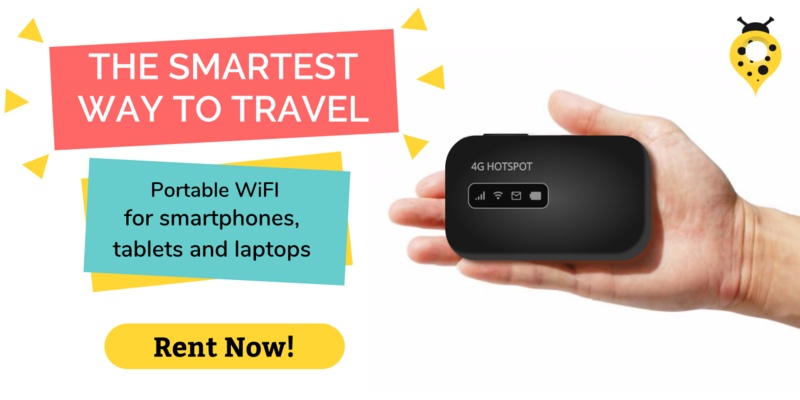 And, if you already have an unlocked and working phone, you can rent a ‘Pocket Wifi Hotspot Device’ with 4G speed that can be connected upto 10 devices. This is a portable wifi device which you can carry anywhere. Its comes with a standard USB charger that is easy to plug while on the move. You can then use your own phone, easy isn’t it. 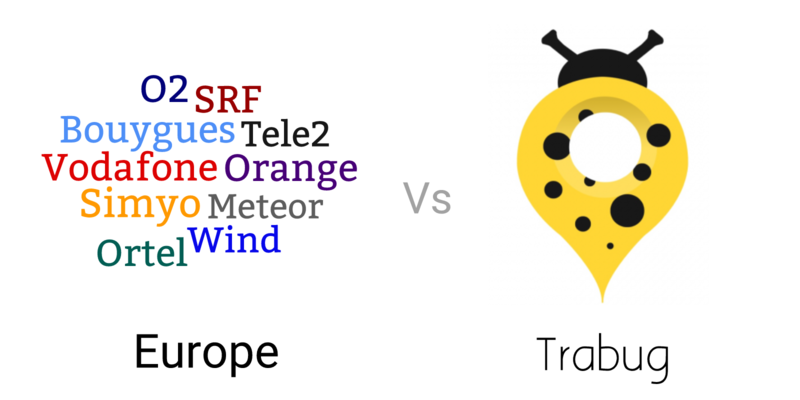 Therefore, Trabug is a one step solution for international roaming issues, sim card issues and even data roaming issues. It is easy to book and very affordable. It gives you additional services and all of it at pea sized costs. Apply this coupon when you book and get 1GB Free Data on any plan.